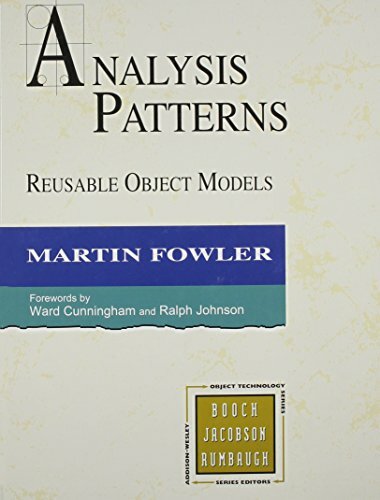 Amazon.com description: Product Description: Martin Fowler is a consultant specializing in object-oriented analysis and design. This book presents and discusses a number of object models derived from various problem domains. All patterns and models presented have been derived from the author's own consulting work and are based on real business cases. About: Martin Fowler is a consultant specializing in object-oriented analysis and design. About: This innovative book recognizes the need within the object-oriented community for a book that goes beyond the tools and techniques of the typical methodology book.